These beautiful vambraces are made from heavy grade leather and though thick, are easy and comfortable to wear all day long. 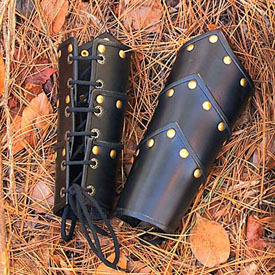 Good for a large variety of outfits, these vambraces are great for use with your bow. Matching Leather Swordsman Greaves available.